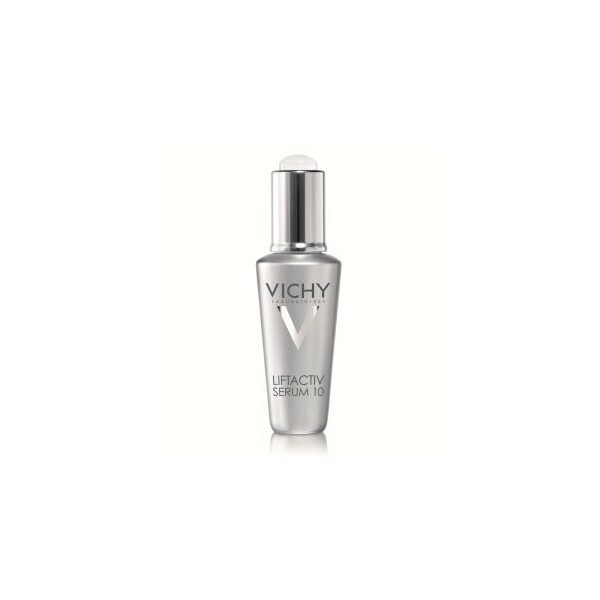 LiftActiv Serum 10, Vichy’s breakthrough anti-aging formula features a 10% concentration of Rhamnose, a naturally derived plant sugar proven to help boost skin rejuvenation. With just a single drop, your skin is instantly transformed; wrinkles and pores are visibly reduced. Your skin is lifted while your complexion is smoothed and more radiant. After 1 month, LiftActiv Serum 10 delivers our most dramatic improvement on the 4 main types of facial wrinkles: crow’s feet, brow line wrinkles, laugh lines and neck wrinkles. The lightweight texture melts onto skin, leaving it smoother, softer & more hydrated. 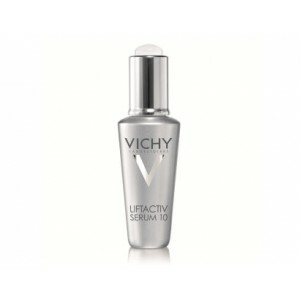 LiftActiv Serum 10 is highly concentrated; delivering exceptional anti-aging results but is suitable for even the most sensitive skin.